Thought it was time for more business cards, I mean because really, pretty business card posts won't ever get old. If you're new to the blog, be sure and check out the business card archives for more business card inspiration posts! 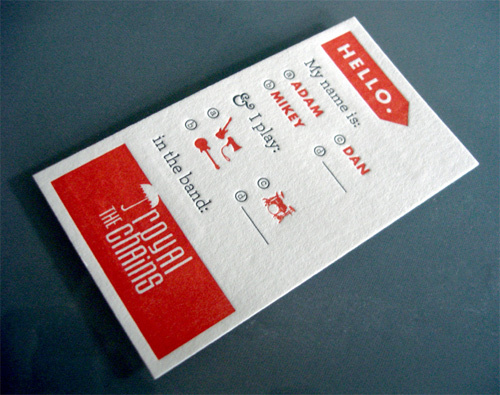 The Royal Chains - business cards, source unknown. Oh snap! I love business cards! They are a great form of personal branding and incredibly handy to have in hand at all times. I never leave home without mine! I LOVE the library card! Well and most of the other ones. these are fantabulous and sooo make me wish i had graphic design knowledge! it's like gold in the blogging world! the two watercolor ones are my favorite—every watercolor splash is unique and beautiful and I love how they've utilized that! These are so cool and fun! I love seeing what others have come up with for their cards. Thanks for the inspiration! 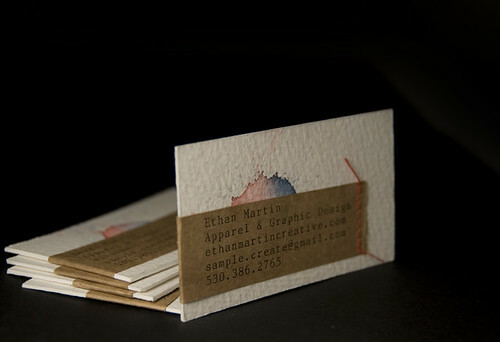 I particularly love the watercolor business cards. I believe the royal chains business card is by Kelli Anderson - hope that helps! ohh i love that chefburger business card!! and the one w/ the animal cutout is neat!! i love the glammer education and the library cards. so cool and inspiring! omg that The Royal Chains cards are awesome! Super cool ideas here. Thank you so much for sharing! I am getting ready to order business cards for the first time and was needing some resources. These are beautiful! These are so cool! I need business cards so thank you for this board of inspiration. These are so creative. I love the turntable ones and the ziplock terrariums. Very cute! oh, the Haven cards are definitely my favorites, but there are so many others I love too. 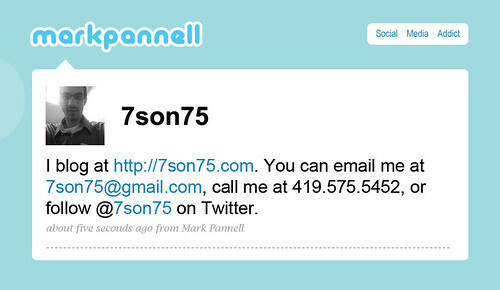 I LOVE the business card posts! It's inspiration to keep all of my stuff fresh! So many beautiful designs! Great inspiring ideas! I love the turntable card! So simple and so unique. Great finds...such good inspiration for when I ever get around to making my own! I love business cards. This is so inspiring. I love great business cards. I am trying to create some for myself and my blog. I absolutely love those business cards! You should do a collection of creative wedding invitations!! ohh some of these are so great! i've got some new ideas now for my cards!! I love all these unique business cards! Some of them are so clever yet totally functional. Thanks for sharing. I love that you feature business cards all the time. The are so beautiful! Definitely a good round up of creativity this time. I adore business cards and I'm working on mine too! Anyway, I really enjoyed looking at these photos. Good post! Swoon! Love the Twitter card, the turntable, "hello my name is" and of course the librarian/book-lover in me loves the library card! Love this collection of beautiful & creative cards! This was super inspiring! Makes me want to make business cards, but I don't have a business, so that's not really practical. Heh. I don't even know how to say how much I love the library card set via simple pretty. I just need a reason to use them (would being a grad student in English be enough?). You always find the best business cards! As a designer, these have me flipping out! amazing! oh so many great idea, people are so creative! Love Cartoules! These are so inspring, it makes me feel like I need to get to work and redue my buisness card! Thanks for the inspiration. These are so amazing. It's so hard to pick a favorite. There are some amazing, creative people in this world. 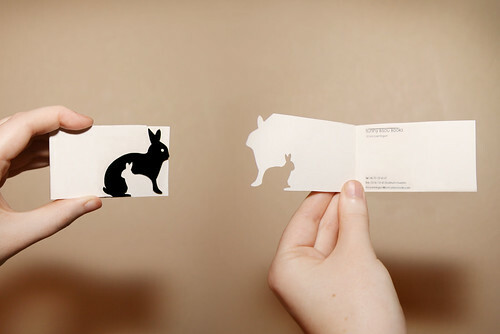 Wouldn't it be a fun profession to come up with such innovative business cards? They are unique! Excellent cards, to favorites! I hope to one day have business cards that are cool enough to be featured here ;) Great selections!!! I love beautifully designed business cards! that last one is amazing and so so creative! Stitch Design Co link is not working. Love these! I was pleased with our business cards but after looking at these I think we'll try and do something more creative next time! Love the rabbits and the card where you can cut the hair! Thanks for sharing! 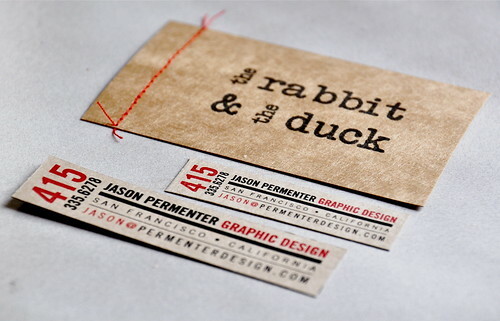 Great designs.. Usually Business Card Inspiration Lists show mostly same designs but these were really new to me. Lovely list and great work. These are really so nice. This will help me so much in choosing great design for my plastic business cards like yours. I like all of your designs. Thanks for sharing.